We would like to feature an outstanding Belizean each month for his/her accomplishment in the fields of Literature, Art, Music, Medicine, Politics, Business and Community Activism. As a proud Belizean, I believe it is imperative that we support and promote all Belizeans both at home and abroad. You are an important part of our community. Reginald Alexander Jex: aka “JEX” at the early age of 13, had to fetch for himself after the loss of his adopted parent. It was very difficult for him to sustain himself so he decided to join the Belize Police Special Force in (1973-79) and then became an Immigration Officer (1979-81). He started his family with children Dionesia, Reginald (deceased) and Adrian in Belize. He realized that a change in environment would be better, so they all migrated to the USA, and he pursued his career in the heating industry to sustain his family. “Jex” always has a passion for sports (Soccer/ Football) music and entertainment. 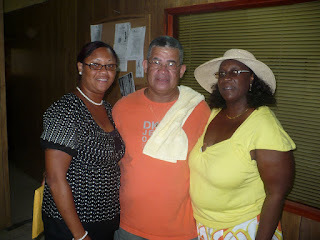 He started organizing many sporting events in Belize and New York. Being a member of Belize Parkfest in New York, he organized the first Parkfest in Ft. Lauderdale, Florida, and promoted music ( Donkeyman, Daddy Tracy, Chico Ramos, Late Andy Palacio ) and many others in the early years. “Jex” is a very compassionate and free spirited person, and he is willing to help whenever possible. For example, he sponsored and held many tournaments in Belize since 1999. He held the first football tournament for the primary school in Dangriga, & in the Rural Villages of – Sandhill, Maskall, Ladyville, and Crooked Tree Village Sport Day and Gardenia Village Sport Day. 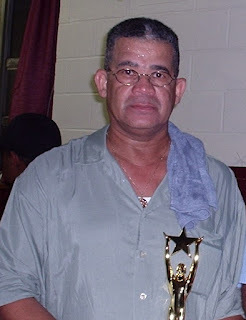 In 2006 he hosted the basketball game, between “American Airlines of New York” vs “Belize Nationals” in Belize City. 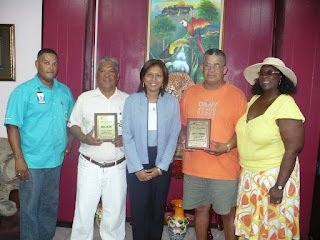 In 2008 the Mayor of Belize presented him with a plaque for his support in the City Council Municipal Multicultural Fair. He donated trophies to the Female Softball League, Channel 5 Karaoke, Annual Cross Country Race, Police Cadet Corp, Prison Dept, SandHill League, and many other entities, all in Belize. Through his hard work and perseverance in providing events for Belizeans to socialize, compete, and to be entertained, “Jex” has gained the respect and friendship of countless people. He owes a tremendous amount of gratitude to his wife of 20 years, Eleanor Jex for his many accomplishments and achievements.